This directory contains information on general contractors and sub-conctractors in Pierce County: Tacoma, Lakewood, Parkland, Puyallup, University Place. APEX Tree Removal and Tree Topping Services - Tacoma Lakewood Gig Harbor Puyallup - From Tree Removal to Stump Grinding and all the chips in-between, APEX can help with your tree problems: opening up a view, storm damage, tree pruning. HVAC & Furnace Installation, Repair & Maintenance - From Edmonds, Eastside down to Tacoma area - What's Your Heating and Cooling Problem? Furnace Doctors Can Cure Them All! HVAC contractor, John Day and his Furnace Doctors, have been fixing heat pumps, furnaces and air conditioners for years. John says, "We've seen it all! We are a full -service heating and cooling company - there is NOTHING we cannot work on. We service, install and maintain all HVAC systems including all major brands of heating and cooling equipment." 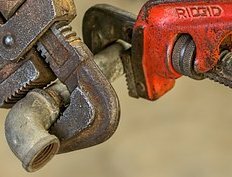 Sewer Line Experts - Trenchless Plumbing & Pipe Bursting Tacoma - Here in the Pacific Northwest, a land of settling earth, healthy trees with strong roots, and old crumbling concrete pipes, it's quite common to have sewer lines filled with invasive roots. 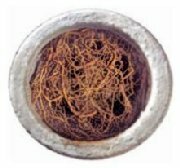 Once roots get into your sewer line the problem only worsens. Pielak Plumbing has several solutions for you. They can de-root your system, they can send a video camera down your pipes to inspect the problem, and they can replace your complete sewer line with trenchless plumbing and pipe bursting. Give them a call today at 253-227-0084 for details and estimates. Visit Pielak Plumbing for more information and a step-by-step video showing you how the process works. Tent Rental Systems for Sale from Maine to Mexico . . . and beyond - Tacoma Tent and Awning/Olympic Tent provides tarps, canopies, and awnings in addition to their special tent systems. Watch the video and see why their tents are the future of the rental tent industry. Construction Debris and Recycling - Dumpster Rentals - SW Washington - Our business is picking up. We are a full service recycling company, providing services throughout the South Puget Sound region, including the cities of Aberdeen, Olympia, and Centralia. We can help you in Grays Harbor, Lewis, and Thurston counties as well as other areas of the South Puget Sound. Contact Us for immediately help: 360-280-7305. Tacoma Tent & Awning - Tent & Awning Industries has been serving Seattle, Tacoma, the Puget Sound area and the Pacific Northwest since 1937, manufacturing quality custom awnings, tents, tarps and complex industrial protective covers. Known locally for decades as Tacoma Tent & Awning and internationally as Olympic Tent, we are the best resource for awnings, shade systems, tarps, covers and special event tents. Over the past 80 years we have built our reputation on progressive design and precision manufacturing of our products. Our use of only the highest quality materials and craftsmanship, in combination with our innovative technology and state of the art equipment, results in products that will fulfill your expectations.- Call 253-627-4128 of TOLL FREE 800-658-5041. 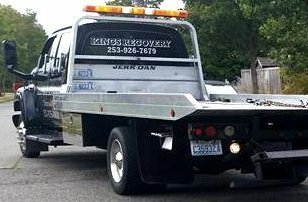 Kings Towing Services - I-5 areas and beyond from Federal Way to JBLM - Welcome to King's Towing. We provide the highest standard of emergency roadside service and automobile, truck, motorcycle, private property impound towing, and recovery services to our customers. We always strive for flexibility in servicing our customer's needs. We react as quickly as we can to give you the towing help you need in the most and cost efficient manner. Please call us when you need help at 253-926-7679. Metal Art and Sculptures - Jennifer Weddenmann, AIA, LEED AP, is a licensed architect, with a strong emphasis in functionality and sustainability. She is a LEED Accredited Professional. She is also a welder, and has worked in steel for many years, using traditional blacksmithing techniques and modern lasercutting to make forms that she fabricates into furnishings, public and private art, architectural elements, signage, etc. In both parts of her career, Jennifer tries to create built forms that are appropriate for their context and their community. Call Jennifer for both art and architectural suggestions and information - 253.973.6611. Residential and Commercial Contractors Tacoma Puyallup Gig Harbor Directory, home remodeling directory tacoma, home remodeling contractors tacoma pierce county, plumbing contractors tacoma pierce county, sub contractors tacoma pierce county, home remodeling gig harbor, painting contractors tacoma, plumbing contractors tacoma, electrical contractors tacoma, general contractors tacoma pierce county, painting contractors tacoma puyallup, Residential and Commercial Contractors Tacoma Puyallup Gig Harbor Directory wa washington.